In my recent craniosacral meditations I had a visionary experience where I found myself dwelling in the Field of my Heart. I traveled “inward-downward” to this place and, as if underwater, opened my eyes to see. From this place I scanned to find who also met me there, to discover who else is tending to / sensing from / abiding within the Great Heart, in Service to the Whole. It is not always easy, or pretty in this world to abide in the Heart. There is a fire that burns and a pain that shreds. There is the unhealed brokenness and the grief of generations. There is no where to hide. And yet, there is so much wisdom - - - it is scientifically our most powerful resonance system. So - to those few I saw there, looking back at me, I recognize you, and I say thank you. For the most trusted and true Allies for me in this time are you. As far as the eye can see, soft and verdant grasslands roll out like a thick green carpet dotted with healthy, ancient oaks. A trodden path of tall grass leads the way past a few small creeks to the open pasture where the animals graze. 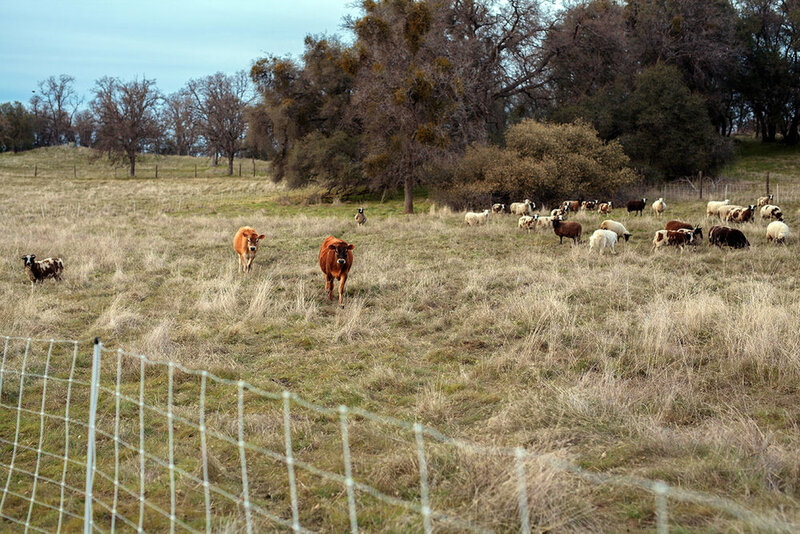 In the foothills of the Sierras, just outside the town of Placerville, Melissa and Spencer Tregilgas lease a stunning 95-acre ranch. There they farm full time, with the help of their sprightly daughters Molly (9), Adele (7), and Maxine (4). Together, the family makes up Free Hand Farm. Raising sheep for lamb and wool, their flock is comprised of purebred Jacob sheep, which according to Melissa are on the smaller side of sheep and easier to handle. The rest of the flock are cross breeds: Blue-Faced Leicester crossed with Cheviot, and Shropshire/Jacob crosses, also known as mules. They sell their beautiful roving by the ounce and yarn by the skein, which can be purchased at their farm, and at local yarn shops Knits and Knots in South Lake Tahoe, and Rumpelstiltskin in Sacramento. Sheep aside, the main part of their farm is dairy cows. “We run a very small scale dairy operation called a herdshare,” explains Melissa. “In a herdshare, everyone co-owns the cows. They pay a boarding fee once a month and receive an allotment of milk each week.” Their cows are jerseys, milking shorthorns, and one guernsey. They are joined in the work by the helping hands of the girls and by one part-time milker. With so much grassland, the animals are kept content by grazing as much as they want. To get started in farming, Melissa and Spencer interned on a pastured livestock farm in Maryland. They were planning on staying there on the East Coast but decided to move back to California for the young girls to be closer to the support of their extended family and Melissa’s hometown. They moved from an interest in beef cattle to dairy cattle, as their passion for raw milk developed and they realized health benefits for their family. “Our girls used to get super bad eczema from dairy products. 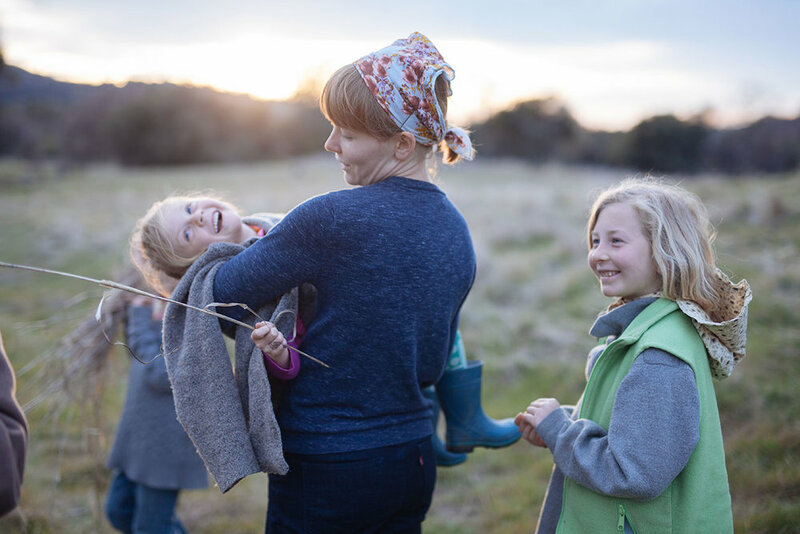 We tried raw milk and it completely went away,” says Melissa. Three years ago they found the land they are leasing now, land with a particularly interesting history. Originally, the land was tended by the Nisenan tribe, a people indigenous to the American River watershed. During the Gold Rush, a man named Charles Graner obtained the land, then sold it in 1868 to a group of Samurai fleeing the Boshin War in Japan. They came to start a new Japanese agricultural community, bringing tea and silkworms with mulberry saplings. After a couple of years, they lost their funding from the Japanese overlord, and the bank took the farm. The Veerkamp family bought the land and farmed it from 1870-2010, eventually selling it to American River Conservancy (ARC). Melissa and Spencer lease from the ARC now with the agreement that the land is to be maintained as a working farm. Melissa is excited about soil testing, so they can show the Conservancy how soil health, viewed through carbon content and soil organic matter, can improve over time with proper livestock management. Walking the land, you can feel the imprints that many different groups of people have made over the centuries. Melissa points out the one old Japanese tree that still stands near the milking barn. 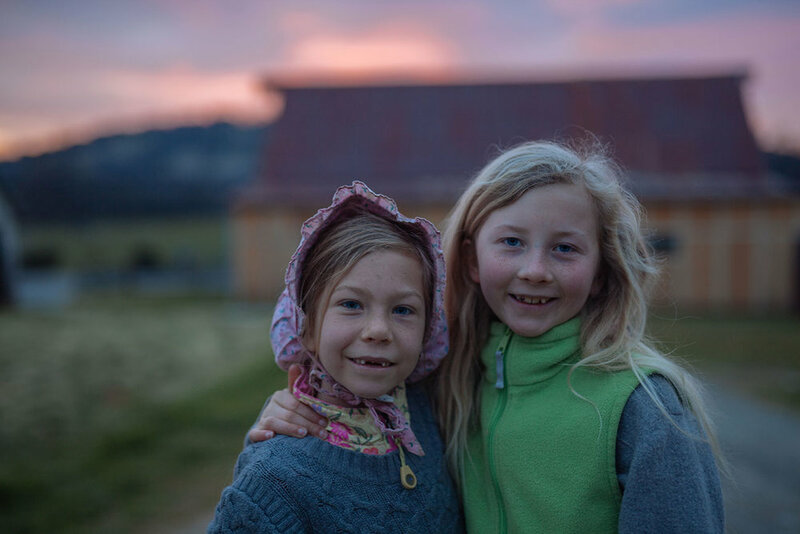 As the sun sets and the girls come rushing in for dinner, it’s clear that many people have been nourished from this life-giving land, and that Melissa and Spencer are carrying on the tradition. i am the daughter of immigrants . building bridges between black and white, creating alliances in service to the health of the people. to go like water and return like water. Sacrums, temporal sutures, jaw bones; ankles. I reflect on how in the last two days I met and laid hands on 6 people from the ages of 10 to 64, from the heights of 3 feet to 6.5 feet tall, with men, women, elders and children. It seems that these gifts for restoring our nervous systems and connecting with our bodies in the seas of stillness couldn't come at a better time, for all of us. The winter mists and rains assist our deepening. In the midst of a chaotic cultural landscape we come together to remember. 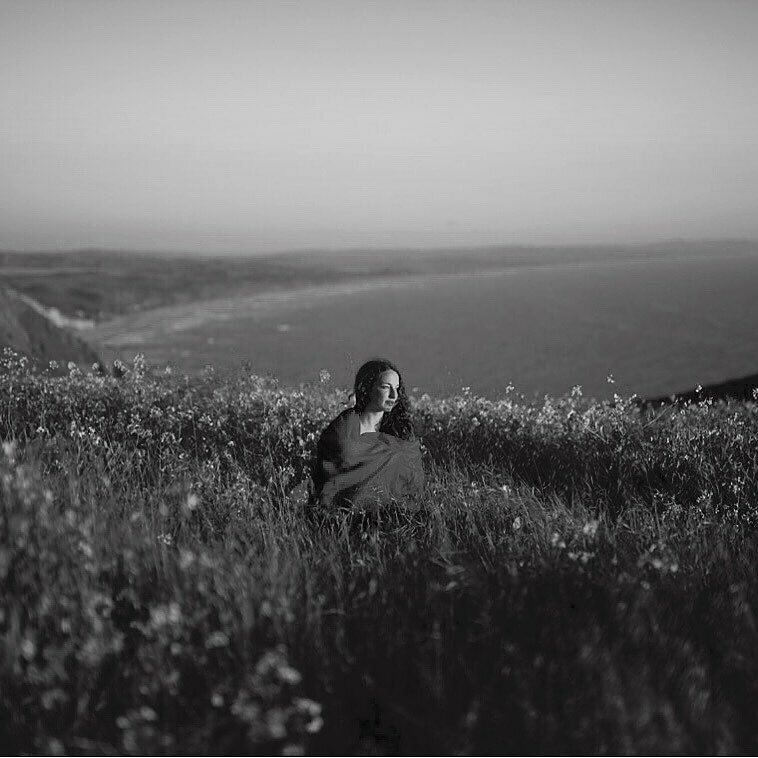 And to b r e a t h e .
I want to say thank you to all who came to meet me in the well of listening, braving their own steady presence, and to those who've yet to come. in the bones of a body who breathes. may my prayers be my tears that fall to the earth and sprout wings to become birds who fly to the waters and to their protectors. may these prayers lift to meet my relatives- human, nonhuman, seen and unseen. may these prayers, may these spirits soar. Magic is not anything you have to do. in the setting sun of autumn. when she fruits into being. i remember myself through her sound. and it is raining now. what songs would you sing? how then would i shine? to see the face of an old friend return again. that uplifts my face of joy. stories of food, of beauty, of resilience.